Approx. 10 lbs less weight than the original propeller. Increased static thrust by 17%. Shorter take-off distance by 218 feet. Improved rate of climb performance by 20%. No restricted propeller rpm ranges. Turbine-like smooth, vibration free operations. erosion protection of the blades. Reduced Noise and Unlimited blade and hub life. 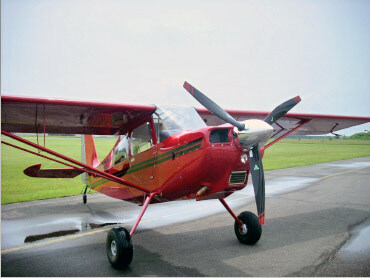 Reduced risk of engine damage resulting from prop strikes.